Hay man! Where’s the sun? The rains keep falling, the grass keeps growing. 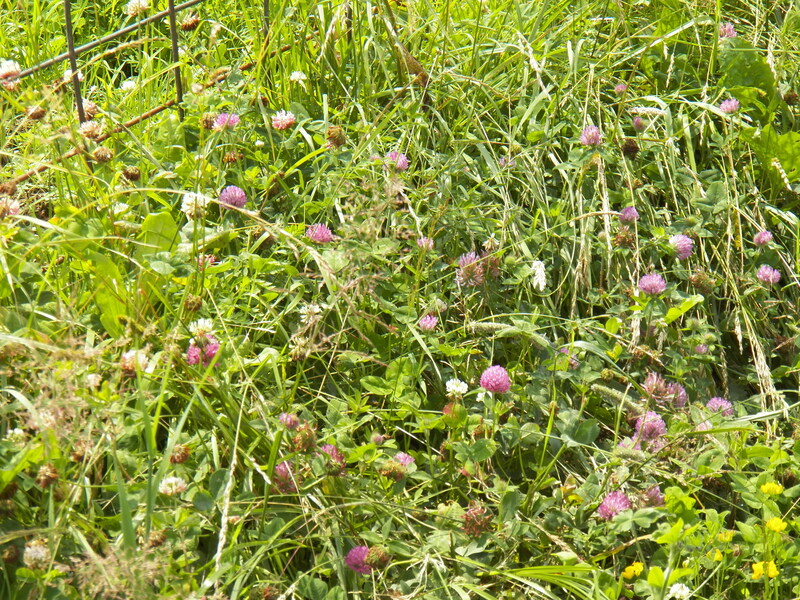 The clovers and hay grasses continue to ripen. It will be all fine, but I’d sure like to be making dry hay soon. We are making “wet” bales so all is not lost. This will make some very nice winter time feed. The succulent plants, harvested at their peak, provides high protein feed that smells wonderful. Opening a bale when the snow is deep, as the winter wind whips your face, is almost fun. The sweet smelling hay crop reminds me the days of summer. The worries of making a hay crop…gone! So, the lesson is…be patient. It will all work out. The pastures are growing great. All this rain keeps the grass in top shape. We are mowing the lawn almost every three days. There is no sign of the dry July grass and lawn burnout. I’m sure it will come, but not this week 😮 Soon, the sun will shine and lots of work will need done all at once. Farmers like myself will be scrambling waiting for a rainy day and the rest that comes with it. Until then, I keep clicking things off my list, some projects not scheduled until fall, but they are complete none the less. I see a few jobs that will slide of my list until the late cool days of fall. Grass and weeds are taking over the edges of the farm. I generally keep these areas mowed, but to date, they have been wet and saturated. I will get them sooner or later, but this year it will be later! The speltz are ripening quickly. Soon the “amber waves of grain”, will be calling me to harvest. This is a mid-summer job and much to my surprise … It is mid-summer!